"In one of my lectures, I talked to you about the emotional intelligence. 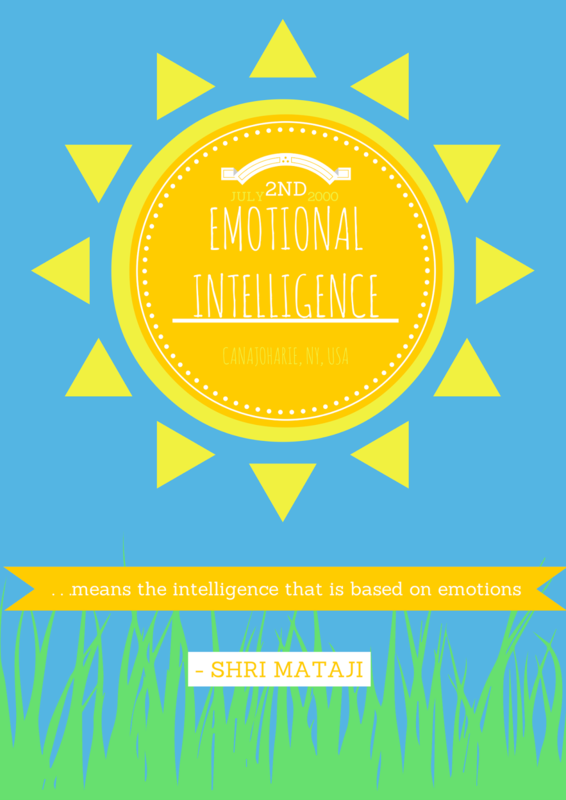 That is what we should try to imbibe: emotional intelligence. That means the intelligence that is based on emotions. Unless and until we become emotionally intelligent, our society cannot improve. In an emotional intelligence, you care and you enjoy caring. You do everything for others with a great emotional understanding - not for one child, not for one son, but for everyone you have to be emotionally intelligent. Some children are born like this, but some are to be made like that, that they should be emotionally intelligent, because if the mother and father are money-oriented, very selfish, they won't allow their child to give anything to others. So such a child will grow into a very funny type of a person and he will never do anything for anybody, not even for his own country. Why should he? Everything for selfishness, then such people indulge into corruption, indulge into all kinds of things which are only selfish in attitude. Now we are talking of collectivity. In collectivity, we do for others, we enjoy doing for others. We love giving things to others - not for our yourself, because your children will also become the same kind and they'll only bother about them self." Shri Mataji Nirmala Devi - 2 July 2000, extract from Shri Adi Shakti Puja talk, Canajoharie, USA.